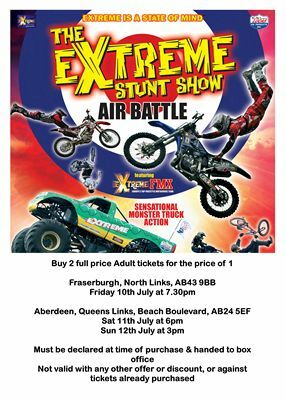 The extreme stunt show Aberdeen takes place at the Queens Links at the Beach Boulevard AB24 5EF on Saturday 11th July at 6pm and Sunday 12th July at 3pm.  It will also be at Fraserburgh North Links, AB43 9BB on Friday 10th July at 7.30pm. For times, tickets and prices please see the poster below. 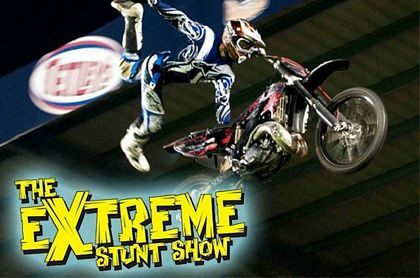 This live UK wide tour is not to be missed and will delight thrill seekers of all ages as they gasp at Monster Trucks, High Flying Motorbikes and BMX teams as they battle it in the BIG AIR themed events. Join them on the runway as their monster beasts compete once again in the Extreme Arena. Where they will still be pulling 1500 horsepower and car-crushing to the max, Lil� Devil and Extreme are getting ready to demonstrate just what BIG AIR is all about. Other performers include 2 wheel car driving, motocross madmen, stunt cyclists performing backflips and tailwhips and the ever popular monster trucks Extreme and Lil' Devil with their 510 cubic inch v8 Chevrolet methanol fuel injected engines. Prepare to be astounded as the Extreme BMX team, show you how it�s done with excessive pedal power. Check out their bunny hops, barspins, 360s, tailwhips, flairs and of course the backflip. Human entertainers at this monster trucks show include a blazing human torch and firewall. There is also the only Honda pilot in the UK jumping a six car gap. Afterwards there is the opportunity to meet the team to get an autograph or photo. This 2 for 1 ticket offer terms and conditions: Not valid with any other offer or discount, or against tickets already purchased.